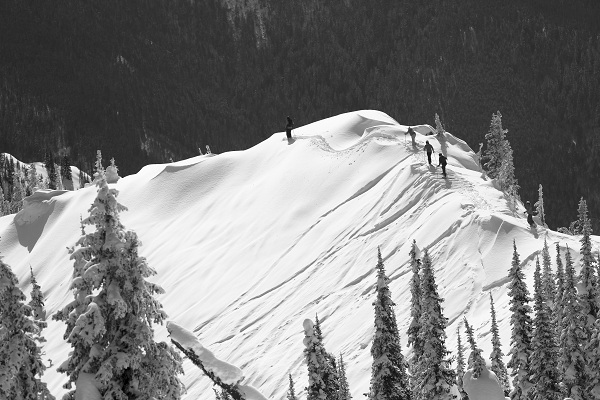 Spending the season in Fernie was a really amazing experience. There was a few days that will be forever edged into my memory. 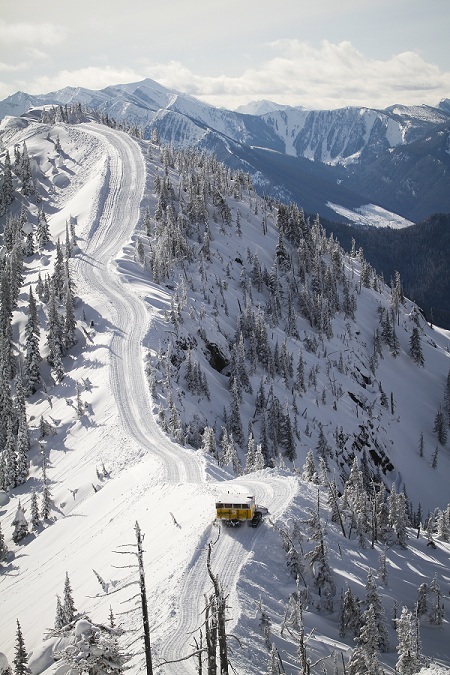 One of those is the EPIC day we’ve spent Cat-skiing with Fernie Wilderness Adventures. The conditions were as good as it gets. There was about 20-30cm of fresh snow that fell a day or two before we went, and the day was a picture perfect blue bird day! Now I thought I loved skiing before we went to Fernie. But there I learned about a whole new way of skiing. 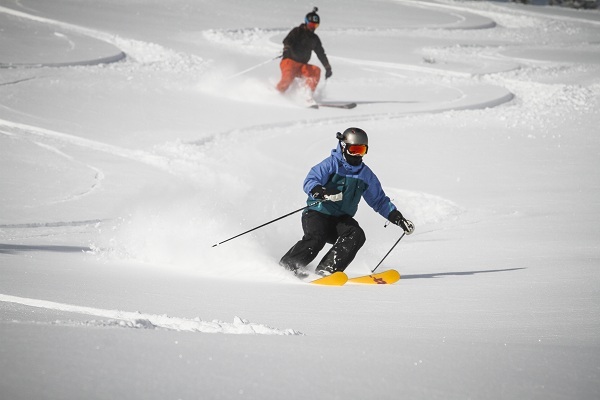 Skiing in powder is an amazing feeling. It feels like you are floating on clouds. And although we had bunch of days in the resort where we could ski fresh powder, the cat skiing took it to completely new level! The views while cat skiing was fantastic! Jonathan and I making fresh tracks! Living the dream! One of our guides on the day getting some air, jumping between two tight trees! Stunning picture of us making the traverse on the top of the mountain. This was a wonderful day. 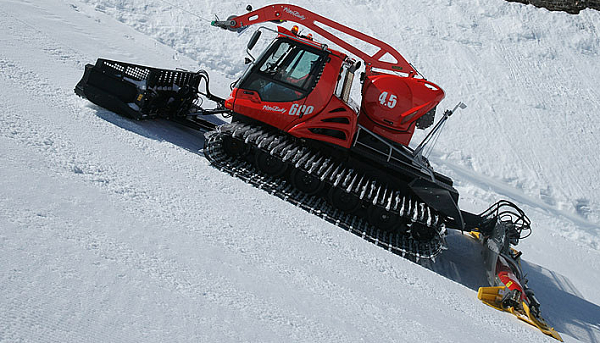 If you ever have the chance to go cat skiing, don’t miss out! Next time I would love to try heli-skiing as well! Thanks to our guide, Fernie Wilderness Adventure, Nonstop and Nick for making this a wonderful day for all of us! 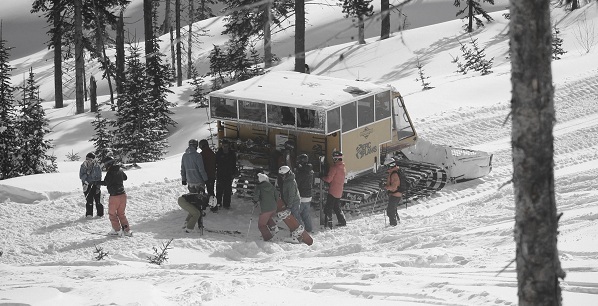 There is a book full of amazing picture taken at one of the other Cat Skiing operations in Fernie, Island Lake Lodge. It was done by some local legends. It is called Bears Above the Valley . 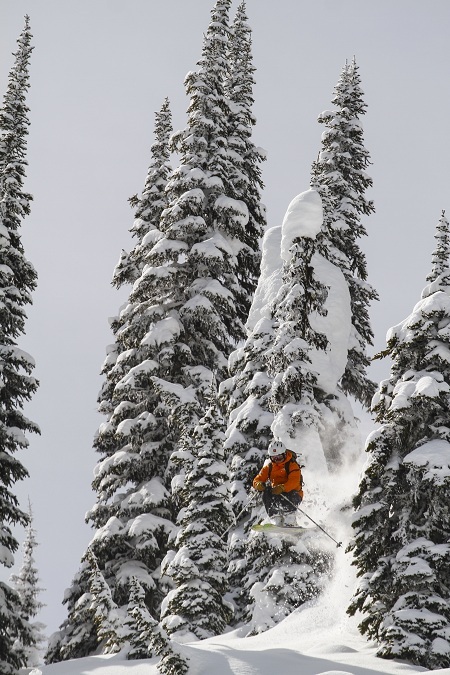 This entry was posted in Fernie, Nonstop Ski Instructors Course on 2013/05/06 by Justinus.